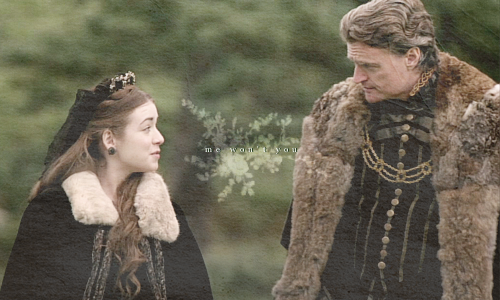 Mary Tudor and Eustace Chapuys. . Wallpaper and background images in the Tudor History club tagged: england tudors queen the tudors eustace chapuys mary tudor mary i bloody mary sarah bolger. This Tudor History fan art contains fur coat, fur collar, fur accent, mink, mink coat, and fur. There might also be sable coat, sheepskin coat, and afghan.